The second 2013 issue of IPC magazine went out this week. 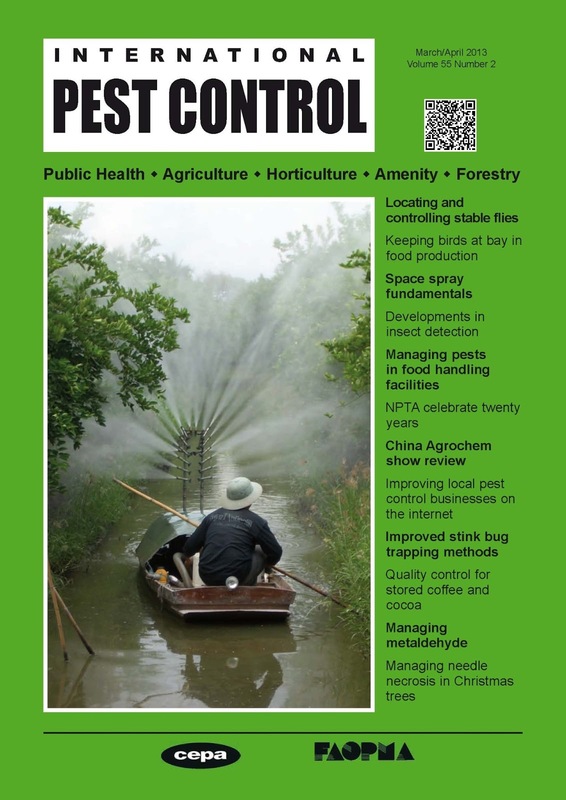 Some tweaks and additions included a global calendar of pest management related events. Should time and money allow, it is possible to travel the globe and attend some interesting conferences and exhibitions. For Sentomol, our focus is on Pest-Ex at the ExCel Centre in Docklands, London on 10-11 April 2013. This will be our first pest control exhibition, presenting a full range of insect monitoring traps to the UK pest control market. It has been advertised as potentially the busiest Pest-Ex yet, so should be a good couple of days. 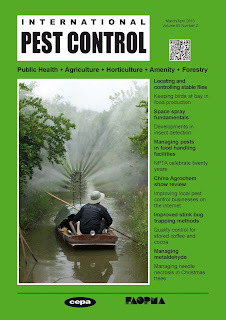 Having put the IPC Mar-Apr issue to bed, as Editor, I now turn my focus on May-June. Some good ideas and articles already submitted so looking forward to reading these and compiling the next issue. Hoping to include a full review of Pest-Ex as part of the contents.